Dynatom International GmbH / Other Countries / What happened in Tube Dusseldorf? What happened in Tube Dusseldorf? Dusseldorf showcased more than 1,000 exhibitors between April 16-20. That was a village in the city. The event was well organized, as usual, during five days, and gave me two lessons: this industry is dying in some parts and flourishing in others, and the players are more diverse. The wire and other machine-tools displayed a wide competition but finally the technology is still the same as 100 years ago. My feeling is the industry in general is improving the quality, the diversity but the innovation is still limited. The technology used for wires, for bending tubes, for the forging is still the same. Therefore a manufacturer focus on clients management, and quality assurance/control, but I could not say I was impressed by most of the attendees. However, in some parts, the innovation is mostly in the automation. More and more robots are used to implement faster, special works, that required before human skills. In this regards, few countries were able to show their robotic in action, but this is the trend. That is all I could really see new from this event. The main impact of the show was the competition. This show was about China and the rest of the world. Chinese companies were packed in the hall 16. 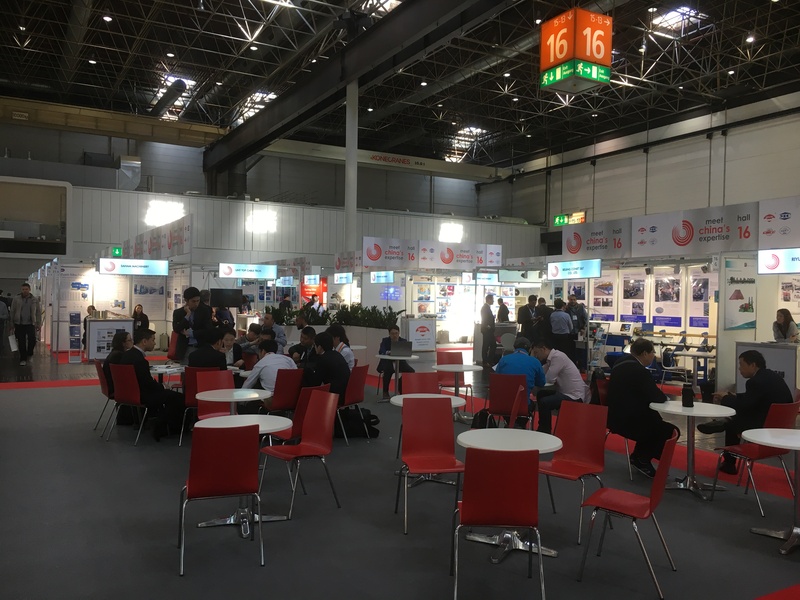 Hundreds of small booth, 3×3 meters, like a supermarket, with each company selling almost the same products, some companies with individual booth, with specific technology, such as Baosteel, and one large and boring space, with tables and chairs for B2B meetings, that is all. But at the same time, this is clearly why China came: to expand in overseas markets. In the other halls, China again and again…it never stops. India was strongly present, as well as Turkey. Then rest of the world, led by two countries, Germany and Italy. American, Japanese, Russian, French, British, Taiwanese, Korean, Czech, Polish were barely present. What did I learn from this Expo? That China is a threat? No. That we just gave up. Our industry is too specialized and technologically ahead, but the market demands all type of products and we just focus on high end. China came with all levels, cheap steel and high end robotics and alloys. China and India are increasing the competition, and it is time for all the Western Industry to show off, to prospect and occupy the market. It is never too late, the market is changing, but it is time to wake up.